Leprechaun’s visiting children on St. Patricks’ Day, Really? Alright all you over achieving moms out there, we need to talk. It has come to my attention, through my elementary school connections, that some of you are upping the ante on St. Patrick’s Day. But, they are apparently also “good,” because they leave treats for the children like gold chocolate coins, and other assorted knickknacks and candy. Yeah, spoken like a person who does not have to clean the toilet, great deal for them. Well, this outrage has to stop. First of all, you are bastardizing (I said it) a sacred holiday. 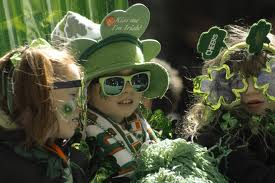 Everyone knows St. Patrick’s Day is celebrated by eating boiled meat and vegetable products, which soak up the cheap, artificially colored beer you consume in far to large quantities. Do you regret it almost immediately, yes you do, but we don’t just quit on traditions, we are Americans (pretending to be Irish). This is how you celebrate St. Patrick’s Day, in an understated and dignified manner. 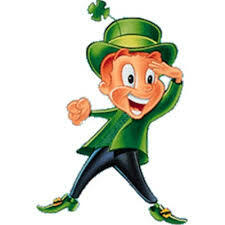 Second, real leprechauns are terrifying and we should not be encouraging our wee ones to trust and love them. How do you plan to explain that the leprechaun doesn’t have to flush, but your kids do? Why, because he’s a guest, do you really want to set that precedent? Don’t be surprised if the birthday party invites start to dry up if this is what you are teaching. They are magically delicious, and their mine, you thief. Leprechuan can’t be trusted, we have all seen the Lucky Charms commercials. That fellow does not have those children’s best interest at heart he just wants their food. Further, have none of you seen the movie Leprechaun, does this look like someone we should be encouraging our children to adore? I think not. Hi kids! I’ve been in your house and used your toilet. Finally, it is exhausting trying to keep up with all the holiday traditions as it is, do we really need to add one more thing to remember? I think I speak for most moms who struggle just to remember to send their kid to school in something green, preferable clean, to avoid them being pinched all day (which by the way, I forgot this year). We don’t need you making us look bad, so cut it out. Try the green beer and boiled food, trust me it is much easier and it usually requires less cleaning up afterwards. Thank you for your time.